Just because you’re not drinking alcohol, it shouldn’t mean that you can’t enjoy a great cocktail. 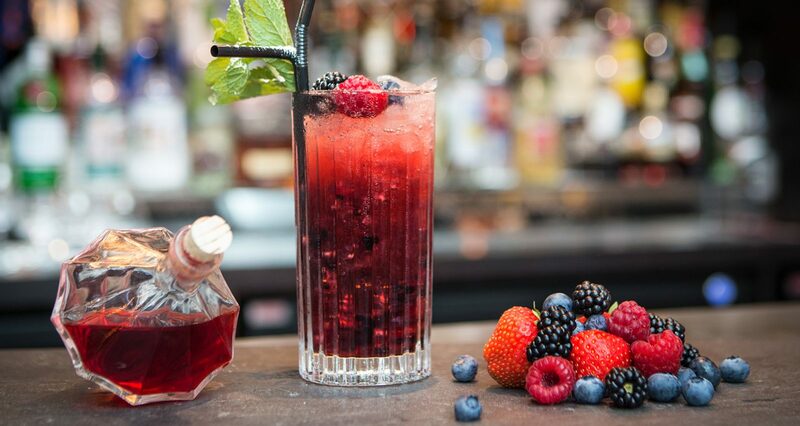 Our bartenders are always coming up with great ‘mocktail’ ideas and here, Nick Wardell shares his recipe for the Summer Berry Mocktail. – Muddle the fruit in a highball glass. – Add a dash of vanilla syrup and top with crushed ice, then mix with a bar spoon. – Add a dash of cranberry juice and a dash of apple juice, then mix with some more crushed ice. – Garnish with a few mixed berries.